Emergency management describes all managing processes aimed at controlling complex systems and multidisciplinary staff members to address emergency events. 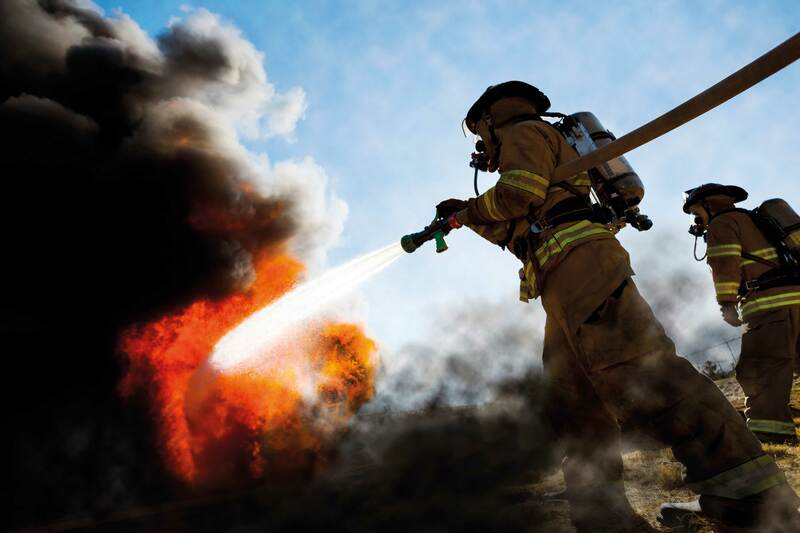 Our team of experts supports your company in emergency situations creating a targeted emergency management solution to cope with your daily challenges. New Voice helps you right from the beginning, before a disaster strikes. In fact our statistical and operational analysis prepares you to be fully covered thanks to a multimedia communication system. We have a solution for each critical situation which may arise. Don’t be worried, be prepared instead. The proper and quickest possible redirection of significant information is a key element to cope with emergencies. 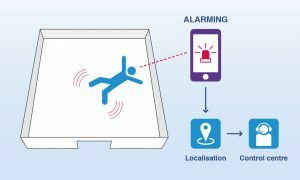 That’s why MobiCall acts as a central alarm and information platform, providing all conceivable ways to trigger the alarm (e.g. crisis teams and conferences can be called up at the touch of a button), thanks to standardised and producer-specific interfaces which allow a full integration of existing systems. All media are available to alert internal as well as external parties either individually or on a group basis through different types of messages – voice, text, picture and video. New Voice provides you with a stress-relieving solution to best cope with emergency situations: a masterwork in the Unified Event Communication area –MobiCall, a reliable and comprehensive emergency management solution. For example, the director of security at a shopping mall finds a suspicious package lying in front of the toilets area. Meanwhile the management office receives a phone call stating that a bomb has been planted somewhere in the four-storey shopping mall. In emergency situations (e.g. fire alarms or disaster alerts) an immediate mass alerting is necessary. 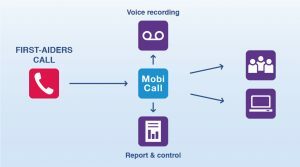 With MobiCall the existing infrastructure can be used so that existing telephones and computers are available to transmit an acoustic or optical alarm signalling. IP-loudspeakers or central PA systems can be connected in order to play back the proper announcement (e.g. in corridors). These functions permit a fast evacuation of buildings. 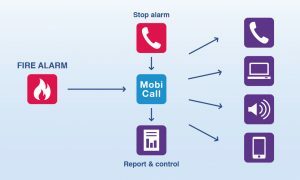 MobiCall can also be used as a central alarm platform to manage situations of crisis. The system ensures a fast information supply thanks to simultaneous alerts. Moreover, the co-ordination between acting people is supported by means of automatic teleconferences. The system provides assistance for health emergencies, taking into account the legal and professional association’s rules linked to first-aiders emergency calls.